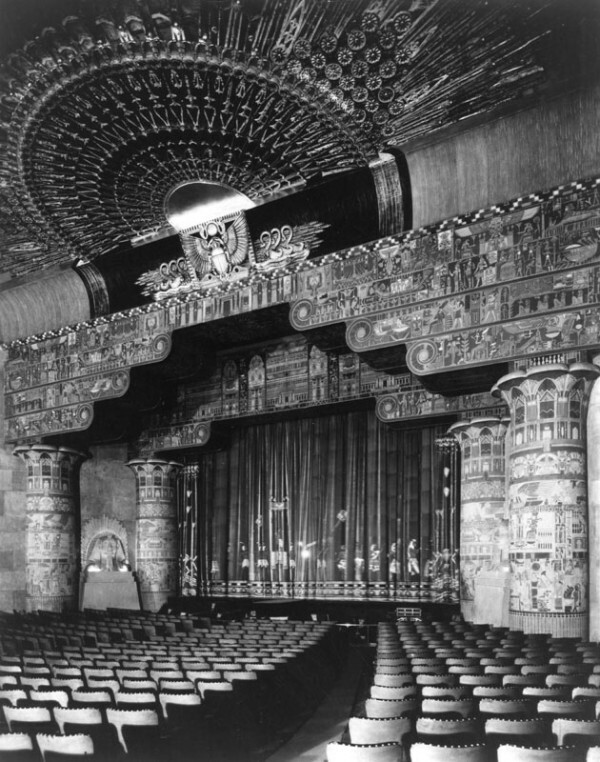 As we reported on 27 July 2016, the Egyptian Theater in Hollywood is undergoing renovations that will enable it to screen nitrate film regularly for the first time since the early 1950s. Here’s more on the project. 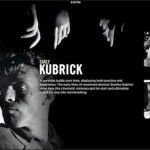 In the early years of motion pictures, movies were conveyed on nitrate film stock. That medium had a major shortcoming: it could burst into flame during projection. 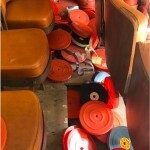 So, in 1951, so-called safety film, made from cellulose acetate, came into common use, and today nitrate is rarely screened – not only because it can readily burn, but also because very few cinemas remain that are equipped to screen it safely. 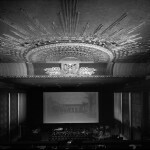 Last month [July 2016], however, a project got under way at the grand Egyptian Theatre on Hollywood Boulevard, built in 1922, to retrofit the projection booth with the capability to screen 35mm nitrate film prints. Completion of the project is scheduled for next month [September 2016]. The nitrate booth is being added so that the theater can show archival films in their original format, which had a variety of qualities lost in the move to safety stock. Projection specialists can and do argue until the cows come home about what the pluses and minuses of the original and later film stocks are, and what gives rise to them. 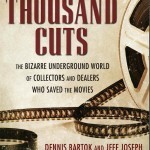 For his part, filmmaker and archives benefactor Martin Scorsese made plain upon the announcement of the project that he believes the shift away from nitrate entailed a loss: “The silver content gave us a luminosity and a richness that was never quite matched by the safer stocks that followed or their digital reproductions,” he said. How volatile is a nitrate-film fire? 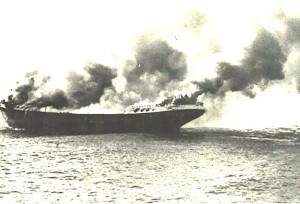 In Australia in 1927, during production of the hugely successful “For the Term of his Natural Life,” about the country’s colonial convict era, the script called for a boat to catch fire. 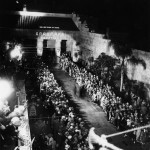 Infamously, the producers put in a call to vaults in Sydney and obtained enough nitrate stock to create this spectacle. Its drawback: up in flames went some unknown percentage of the country’s silent-film history. 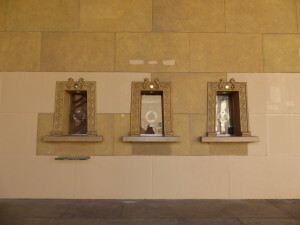 The Egyptian’s booth project involves upgrading the walls of the current projection booth to enhance fire resistance, and installing a better ventilation system in the booth, wrote Enticknap, who works for American Cinematheque, which bought the Egyptian Theatre from the city of Los Angeles in the mid-1990s, for one dollar, and manages screenings there. Joining it and The Film Foundation in the retrofit project is the Hollywood Foreign Press Association, which hosts its annual Golden Globe Awards at the Egyptian, and which this month announced a donation of $500,000 to the Egyptian, for maintenance and technical upgrades of the iconic theater, in addition to the $350,000 it is contributing to the nitrate-screening project. 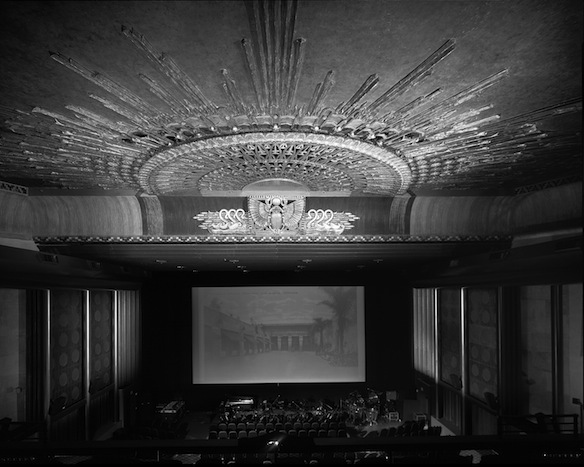 The maintenance-and-upgrade donation will be put to such uses as replacing the 10-year-old digital projector with a 4K projector, repairing some water damage to the building’s exterior and interior, and repainting the theater’s murals of Egyptian deities. Also involved are Turner Classic Movies and the Academy Film Archive, which is among repositories that hold large collections of nitrate prints, which must be kept in controlled vault environments and are rarely screened because very few theaters can safely do so. 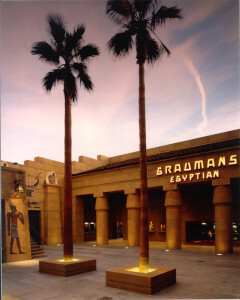 As a condition of its purchase of the Egyptian, American Cinematheque restored the theater and reopened its renovation of the exterior, interior, and exotic courtyard in 1998. 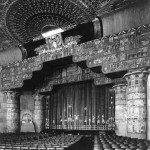 The organization constructed a theater within the original theater, which Sid Grauman and developer Charles Toberman built in 1922 to a Meyer & Holler design as the first grand movie palace on Hollywood Boulevard. 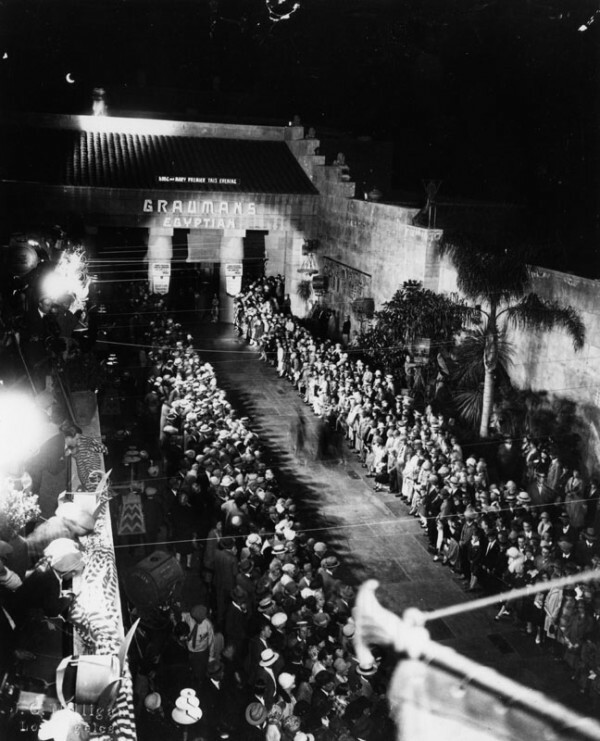 There, Grauman held the first ever Hollywood movie premiere. The designer of the new, nitrate-safe projection booth at the Egyptian is BAR Architects, which also crafted the new Packard Humanities Institute film archive and screening facility in Santa Clarita, California, and the Library of Congress’ Packard Campus in Culpeper, Virginia. KCS West, the contractor for the Egyptian retrofit, has begun the work. 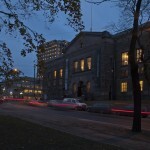 Rick Nicita, the chair of American Cinematheque, said the project will enable the organization to show every film format, from nitrate to the latest digital platforms. Scorsese said: “I hope that this is the beginning of a trend.” That’s to say that he hopes the Egyptian is joining a trend by becoming only the second L.A. theater able to project nitrate; the other is the James Bridges Theater on the UCLA campus. The Egyptian in all its 1922 glory. Photos: public domain, except right, by Juan Tallo, courtesy American Cinematheque. 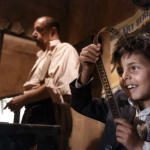 Unsurprisingly, then, Enticknap and his colleagues at the Egyptian, where nitrate hasn’t been projected at all since the early ‘00s, and not regularly since around 1950, are reviewing all safety practices and procedures in time for nitrate’s August revival.